Vitoria is the uniquely situated capital of Estipito Santo in Brazil. With more than 211,500 residents, the city sprouts sophistication and a sense of edginess to it. 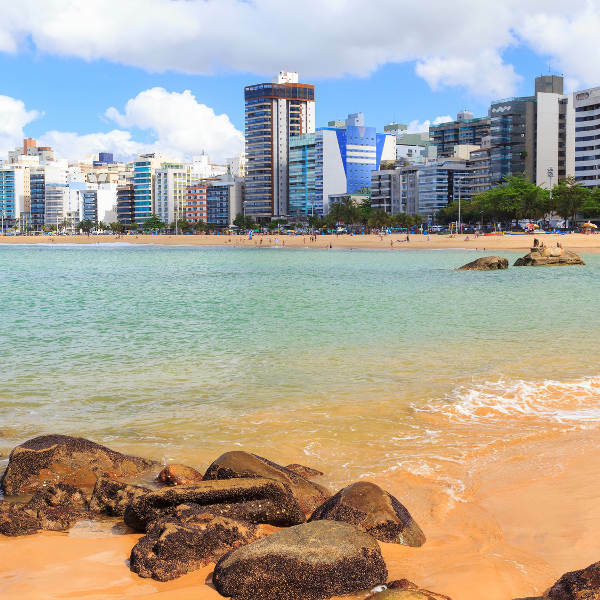 This beautiful city in Brazil is home to art, delicious food and beaches that invite you in! Tourist attractions include Penha Convent, Curva da Jurema and the Gorato chocolate museum. Cheap flights to Vitoria are now available for a limited period of time, so prepare to be impressed with this fantastic city! Vitoria is home to Eurico de Aguiar Salles Airport (VIX), located on a quick 18-minute drive from the city centre. The picture-perfect beaches of Vitoria offer visitors crystal clear waters that invite you in for a dip. Visit Canto Beach and the most famous, Camburi Beach. 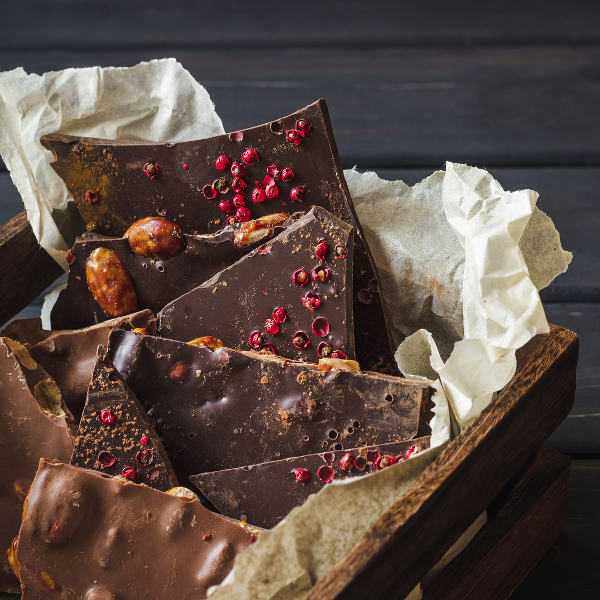 Indulge in your favourite sweet treat at the Garoto Chocolate Factory. Learn the process of this much-loved dessert from start to finish. New-age cathedrals, old colonial style museums, and heritage buildings – Vitoria has just the right amount of each. Saint Lucia Chapel is a masterpiece! The nice thing about Vitoria is that because of its geographical location, it is great to visit at any time of the year. It rains quite a bit from May to July, and then again over December and January. Luckily, it never really rains for too long at a time (5 – 20 minutes) so it will not affect your time there. To avoid the summer and winter crowds, consider visiting during spring (September to November) or autumn (March to May). During this time, the city is less crowded: it is low season, so you will be able to find cheap accommodation and flights to Vitoria. The local carnival occurs over April every year. Surrounded by ocean, Vitoria has panoramic views of crystal waters and sandy white beaches from almost every direction. When there, you will find it extremely hard to resist the urge to take a slow walk along the water’s edge, or to throw on a swimsuit and enjoy a leisurely swim. Along the coast there are a range of cafes and fruit stalls – perfect for a stop to refresh before you continue on your way. Though the city is the capital of the Estipito Santo region in Brazil, the architecture makes sure to include a perfect balance of old and new. 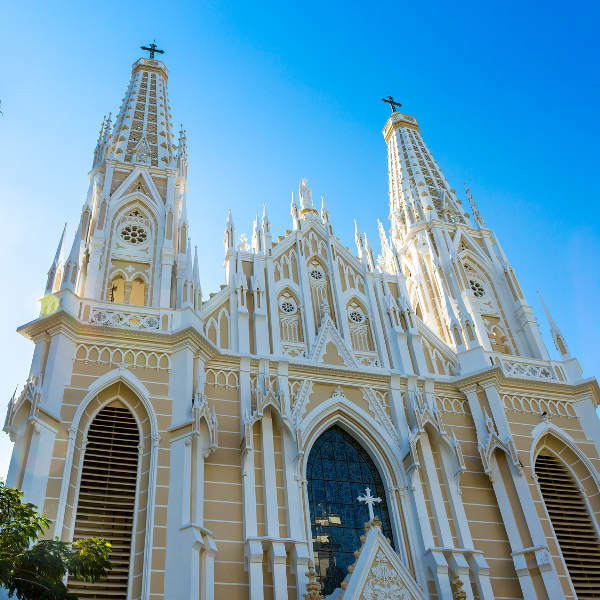 The Metropolitan Cathedral in the Cidade Alta neighbourhood is in complete contrast to the old colonial-style Lady of Victory Cathedral in the city centre. Both have equal grace and were beautifully designed. For an evening out, jump into a cab and head over to Jardim na Penha district. Here you can indulge in some good food and dance the night away. Compare several airlines, and book your cheap flights to Vitoria online at Travelstart! The city of Vitoria is one of the safest cities in Brazil, and it is quite relaxed too. There are, of course, some precautions to take when travelling around the city. These include: not walking around alone at night, keeping your personal belongings out of sight, and not flashing expensive items around for everyone to see. There have been some reports of police strikes in the area, but it should not affect your trip there. It is always important to have your vaccines up to date when you are travelling. When visiting Brazil, it is recommended to get a vaccination for hepatitis A, as you will most likely be eating food that is unfamiliar. You should get a shot for typhoid if you’ll be doing any trips to smaller, more rural areas of the country. Other vaccines that are recommended are hepatitis B, yellow fever, malaria and rabies.